The rainforest deforestation to make more room for palm oil trees is one of the most pressing issues that the world is currently facing. 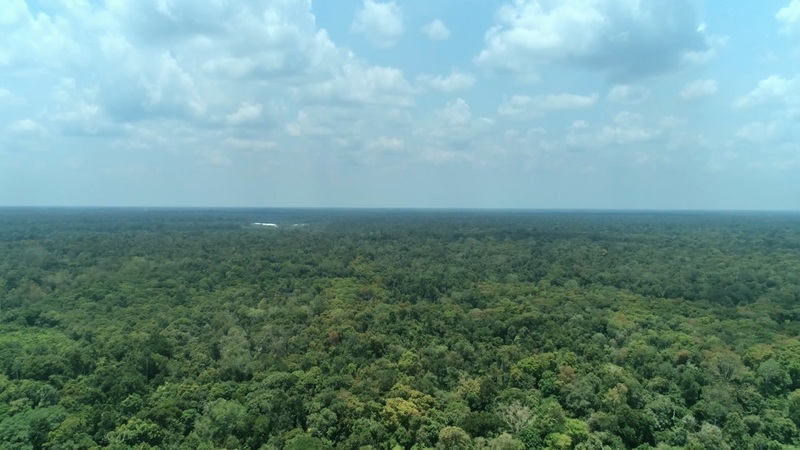 Sure, an increased production of palm oil allows some companies to thrive and make some good profit, but on a larger scale, the rampant destruction of Indonesian forests means a loss for the entire society. Although it is a serious issue, some large companies still want to keep it away from people’s eyes. OK, maybe they can hide it from people half a world away. But the ‘inhabitants’ of such forests are pretty aware of what’s going on. 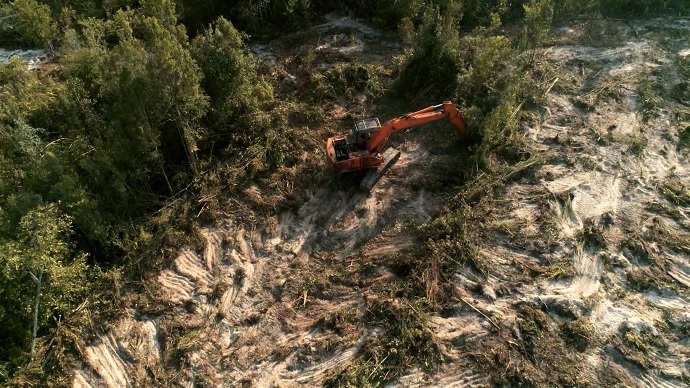 Remember that helpless orangutan that tried to save his home from the ‘claws’ of a fierce excavator? International Animal Rescue NGO was there and recorded the whole scene, which then went viral. We must warn you that the film is not for the faint-hearted. Luckily, there’s a second option for those who can’t face the harsh reality: just a few days ago, Iceland launched a short film that features a similar story. Only this time, the animated tale is presented in a cute way – yet it is equally heartbreaking. The viral video represents the supermarket’s commitment to remove palm oil from all its label products by the end of 2018. Fortunately, the brand is not alone in its efforts to stop rainforest deforestation for palm oil production. Trapa Chocolates, a leading chocolate brand from Spain, has joined this movement too. The company gave its word of honor that it will remove palm oil from all of its products by 2019. Way to go, big brands! To show just how committed the chocolatier is to remove palm oil from its products, Trapa partnered with FCB&FiRe agency and launched a short documentary. It aims to raise awareness about this problem and the Miami-based agency nicely complemented the film with an unusual photo session. One that soon might not have the same beautiful results if the deforestation in the area continues at the same pace. 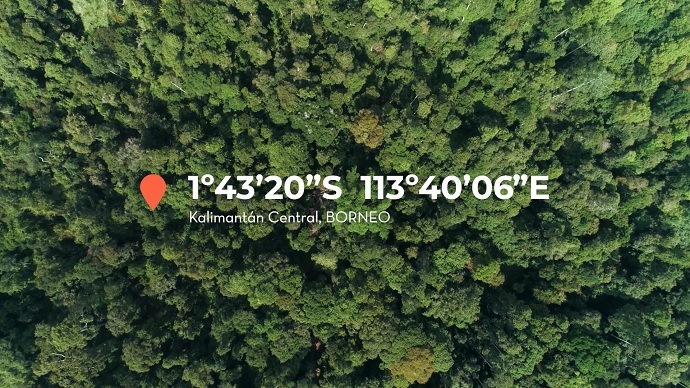 Suggestively titled “Unrepeatable Photograph,” the campaign was created so that the brand could track down the changes that happen in the heart of Indonesian forests. To see if the landscape changes its looks, a team made up from an expert photographer, a fashion model, FCB&FiRe’s creatives, and Trapa representatives traveled all the way to Indonesia, into the endangered Borneo jungle, to take a photo that soon could not be reproduced ever again. In order to make the “unrepeatable” photo, the team had to lie. The palm oil industry would never allow such thing to happen. So, the crew had to improvise and to avoid any suspicion, they claimed they are in the country just for a regular photo session for a fashion magazine. But, just scroll a bit below to see that this isn’t a normal fashion ad. This is an image that raises awareness about forests that are being devastated for the sake of palm oil production. The picture will be published in a range of fashion magazines, such as Esquire, Elle, Marie Claire, and Cosmopolitan. Besides the documentary, the company launched several teaser-trailers and Instagram stories. 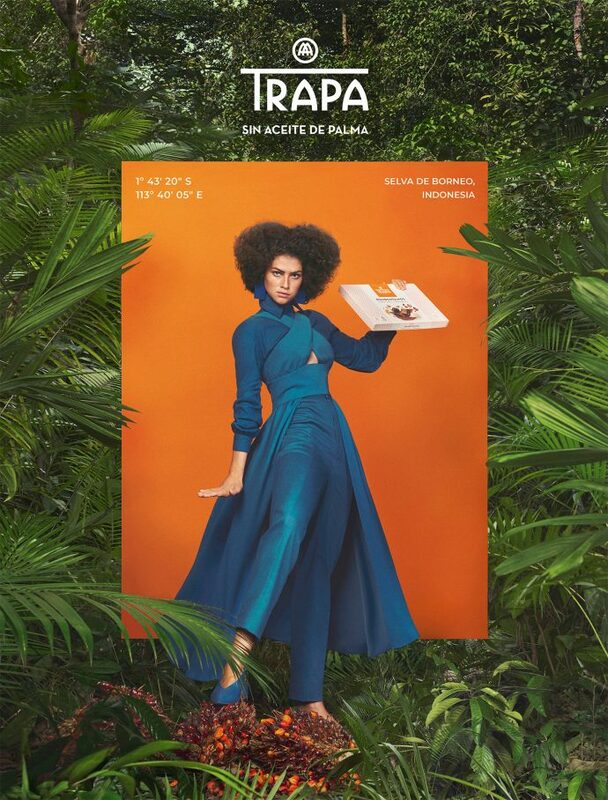 Trapa’s Communication Director, Ángel Amador, brought more insight about the campaign: “It is much more than a page of advertising in the press: it is a photograph that documents and certifies that this place is alive today and that tomorrow – if we don’t look carefully at the labels on the things we buy – it may not be”. “Behavior sends a much stronger message than any conventional advertising can. In this case, in addition to the transcendence of the topic, the content emits a critical judgment which strengthens our ability to be relevant to a certain audience. It is very gratifying for us to advise the new Trapa in two closely intermingled areas: business decisions that speak for themselves, and creativity applied to content,” continued Jesús Revuelta, Chief Creative Officer of FCB&FiRe. What do you think? Will the sacred landscape remain untouched or will it change according to big player’s orders? Tell us in the comments below!